How is the Vitoos PSU? Thinking about offering to buy one for my gu*tarist as an inducement to get an Adineko delay. 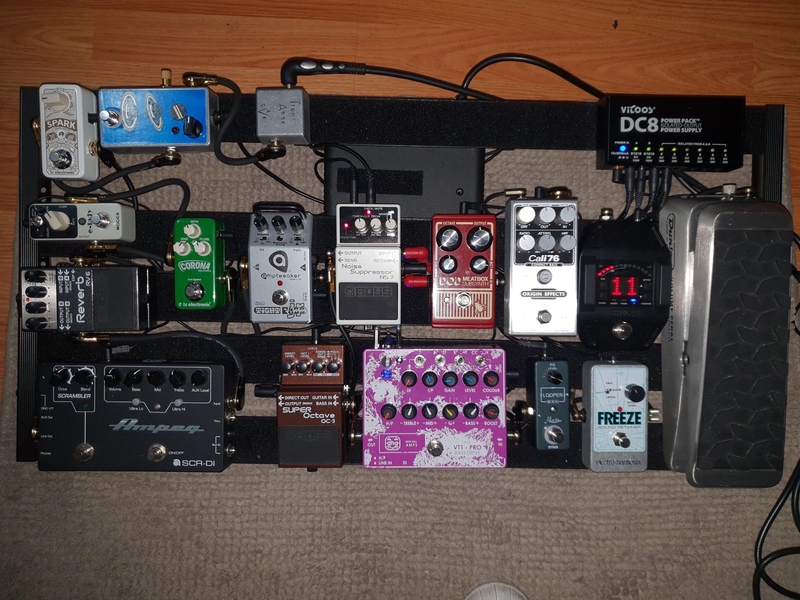 I think it’s good for the money, I brought it mainly to power for any pedal that requires more than 500mA (DHA VT1 and Shure GLX-D-16), not as quiet as my Friedman Power Grid 10 (the black thing middle topside under the board) but it’s not very noisy either. How do you like the new FTT pedal? Absolutely amazing. Dynamic, touch sensitive, and the voicing of the Drive tone is perfect. The BV has replaced my VMT Ultra easily. Yep. Spot on. Doesn't compress like the VMT does. Mine was the best value purchase $ for tone and I paid retail for it at Deluxe. I leave it on almost all the time. Gain at 9 o'clock and it dirties the tone just enough to what you might expect from a "clean" tube amp. For me Monique is too clean. Well, I like that it can do clean when I want that but the FTT BB2 + Monique gets me there. The BV has replaced my VMT Ultra easily. Gain at 9 o'clock and it dirties the tone just enough to what you might expect from a "clean" tube amp. I've been considering the Black Vehicle for a while. Have you guys been using it with rounds or flats? What sort of tones do you guys mostly go for, modern or classic etc. 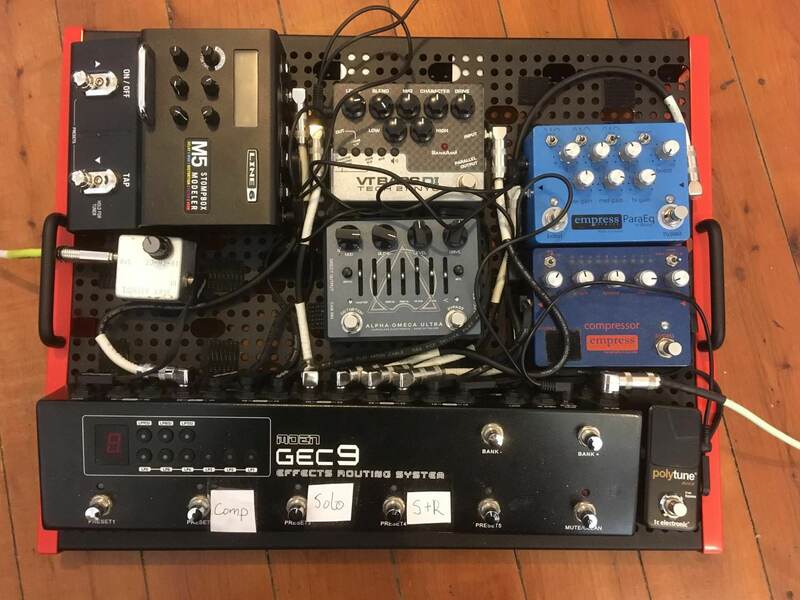 Thoughts on how well this pedal fairs for any of the above? Both in terms of flats and rounds. 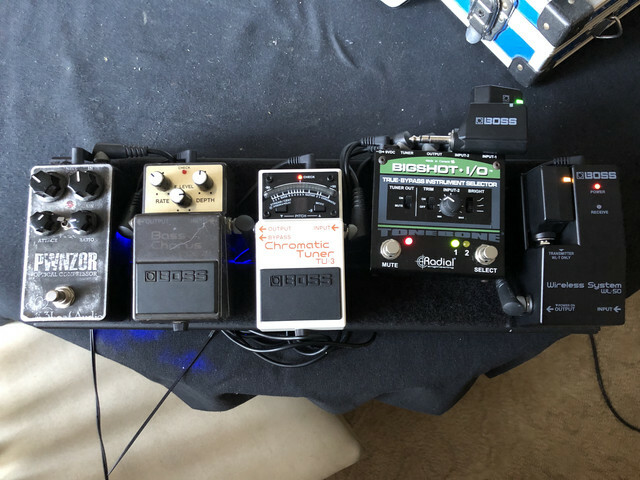 I’d say it’s the most natural sounding drive I’ve played - touch sensitive dynamics, and heaps of different tones depending on how you set it. My main go to sounds are a vintage/ warm with slight breakup, and a heavily overdriven rock tone. Both are full, thick and articulate, and easily shapeable. 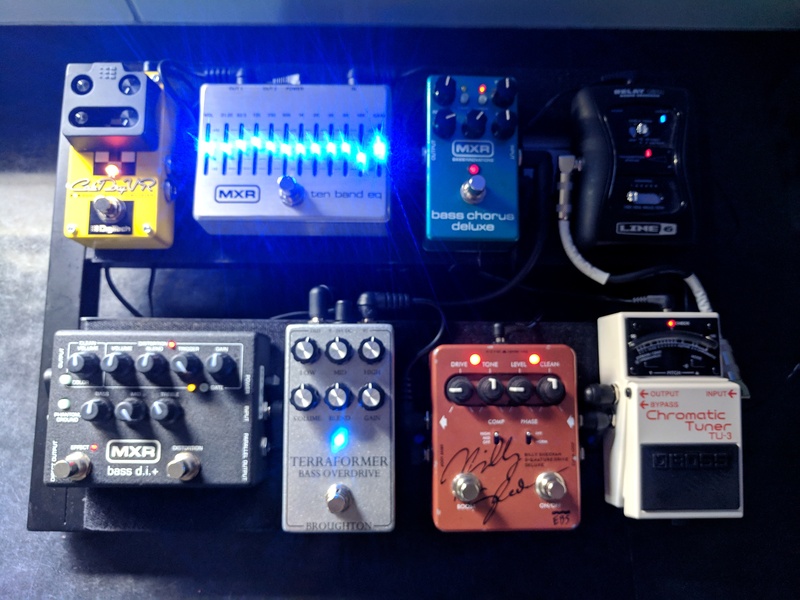 I hung off initially because of the price, but some of the best gear money I’ve spent - sold/selling a bunch of Drive Pedals as a result. Great description Ben of the BV Ben. Anthony @MentalPatient pointed me towards one late last year and it ended my dirt search within a minute or two of opening the box. Sounds amazing with flats. Worth every cent. They've done an amazing job with it. The BB-2 has similar drive voicing, but at much lower gain as well - paired together they're spectacular. That's what's got me interested in the Bass EQ - purely the strength of the two pedals I've already got! Deluxe is your best bet.